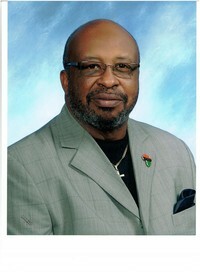 Reverend Freddie Moore graduated from Delta Center High School in Walls, MS. He received his undergraduate degree from Rust College in Holly Springs, MS, and completed the United Methodist Course of Study at Emory University in Atlanta, GA, with a concentration in New Church Development. Reverend Moore served as a supervisor for the Head Start Early Child Development Center (Emmanuel, Walnut Park, and Centenary locations). In addition, he worked for the City of Memphis Department of Housing Development for 29 years. Reverend Moore served as pastor of Calvary Longview United Methodist Church for eight years and pastor of Holy Community United Methodist Church for 20 years. He served on the board of Porter Leath Day Care Centers, Memphis Urban League, and the Wesley Housing Corporation. Reverend Moore is also the Past Chairman of the Downtown Churches Association and Black Methodists for Church Renewal as well as a member of the Joseph Bethea Scholarship Committee. Reverend Moore retired from the Memphis Annual Conference during the 2015 Annual Conference session. Reverend Moore is married to Sherryl Clark. They are the parents of three children, twelve grandchildren, and eight great-grandchildren.